My friend Steph is selling her home in the West 7th Neighborhood of St. Paul, MN. It’s a beautiful 4 bedroom 2 bathroom with updated kitchen countertops, a two car garage and a great back porch and yard. 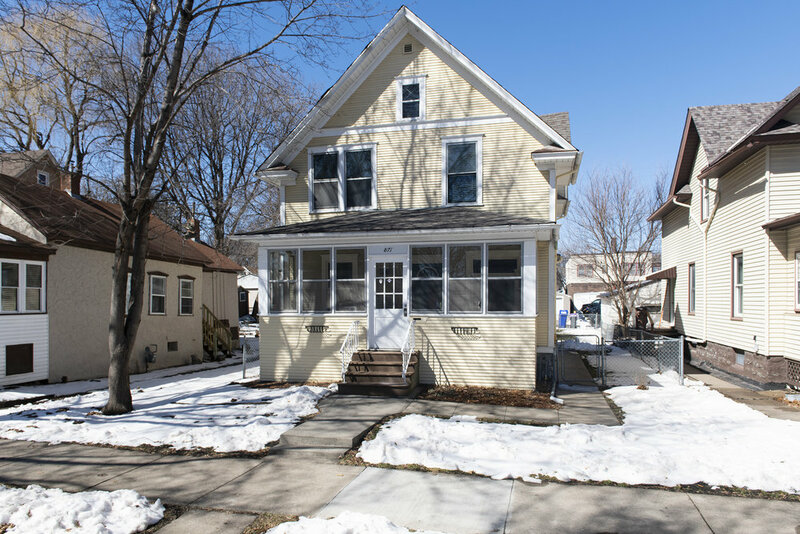 If you or anyone you know is looking for a home - contact Dan Schroeder at 612-801-8008. The Twin Cities area received a dumping of snow on Apirl 10, 2019. Two days prior temperatures were near 70 degrees. Mary and Emil went in front of a judge and got married on Monday at the Hennepin County Government Center in downtown Minneapolis, MN. The Mississippi River was reaching it’s crest of 20 feet this weekend. As of Sunday afternoon it was at 19.78 feet, 5.78 feet above flood level. Spectators gathered at Harriet Island and Raspberry Island in St. Paul, MN to view the rising waters. Three angles of the sunset on Nicollet Island in Minneapolis, MN. Wandering around the Como Zoo and Conservatory is a good way to spend a cold and rainy day. Although depressing at times, the animals locked away in their tiny, dirty little glass containers, the zoo and especially the conservatory are a nice reminder of what Minnesota can be like when it’s not covered in a layer of ice.